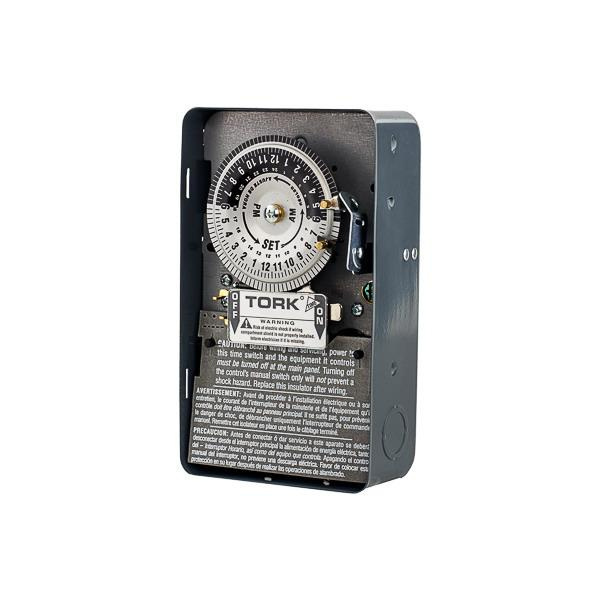 NSI Tork® 2-Pole Time switch is rated at 40-Amps, 208 - 277-Volts at 50/60-Hz frequency. 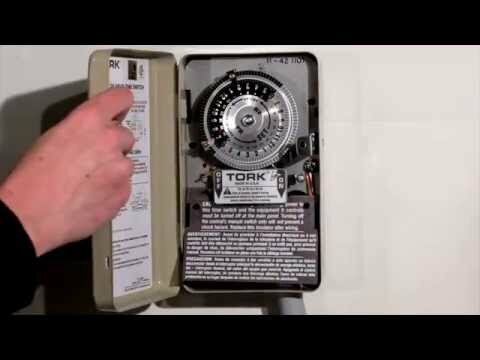 The DPST action switch features 24 hours of timing range. It accommodates wire of size 8 - 14-AWG. It has contact rating of 1000 VA at 120 - 277-Volt AC, 2000 VA at 240-Volt AC for pilot duty. Screw mountable switch features steel construction with beige enamel finish. Switch has scheduling minimum ON setting of 20 mins with minimum OFF setting of 75 mins. Switch withstands temperature rating of -40 to 165 deg F. It measures 4.687-Inch x 2.937-Inch x 7.937-Inch. Time switch is suitable for lighting, pumps, signs, fans, air conditioning, water heaters and auto ON/OFF control application. Switch is UL listed and CSA certified.